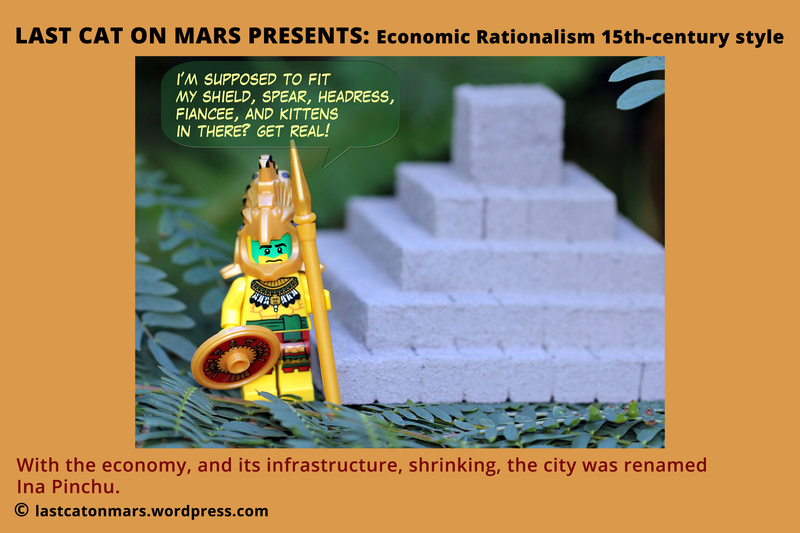 This entry was posted in History, Variety Show and tagged Ina Pinchu, Incan temple, Incan Warrior, lego, Machu Picchu, minifigures on October 27, 2014 by Jay Verney. 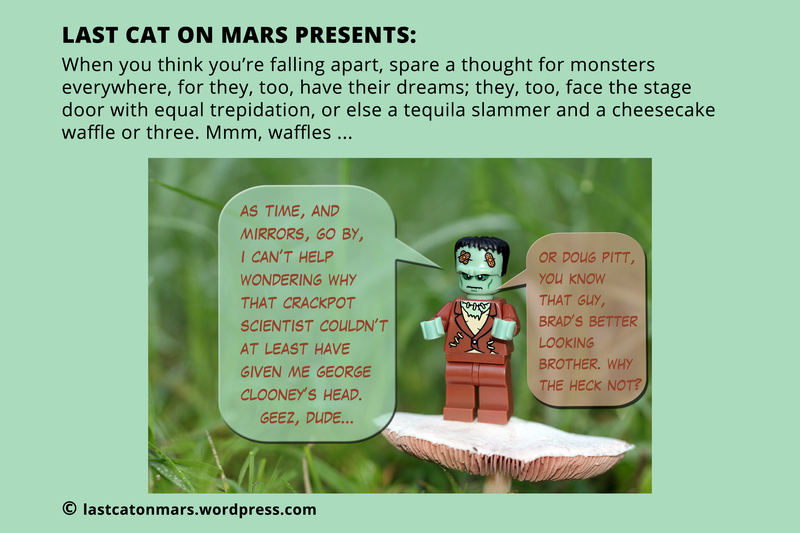 This entry was posted in Variety Show and tagged Doug Pitt, Frankenstein, George Clooney, lego, minifigures, monsters on October 23, 2014 by Jay Verney. 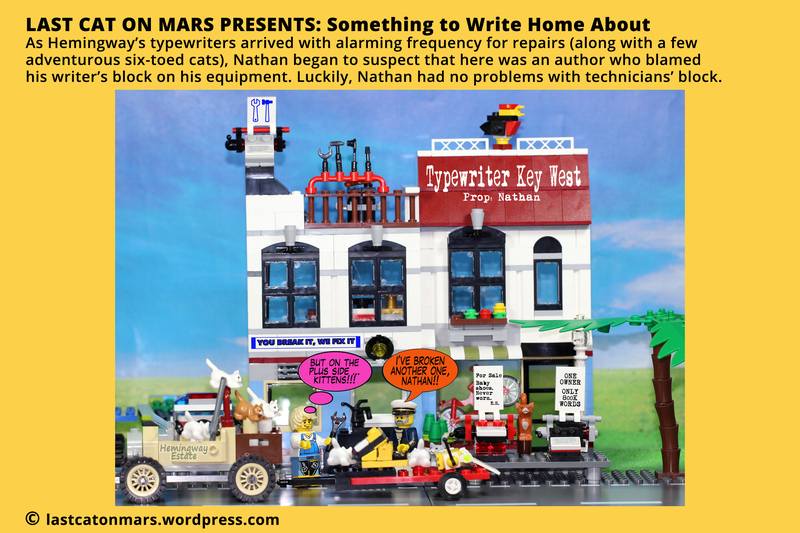 This entry was posted in Variety Show and tagged Hemingway, Key West, kittens, lego, minifigures, Nathan, typewriters, writers, writers block, writing on October 19, 2014 by Jay Verney. 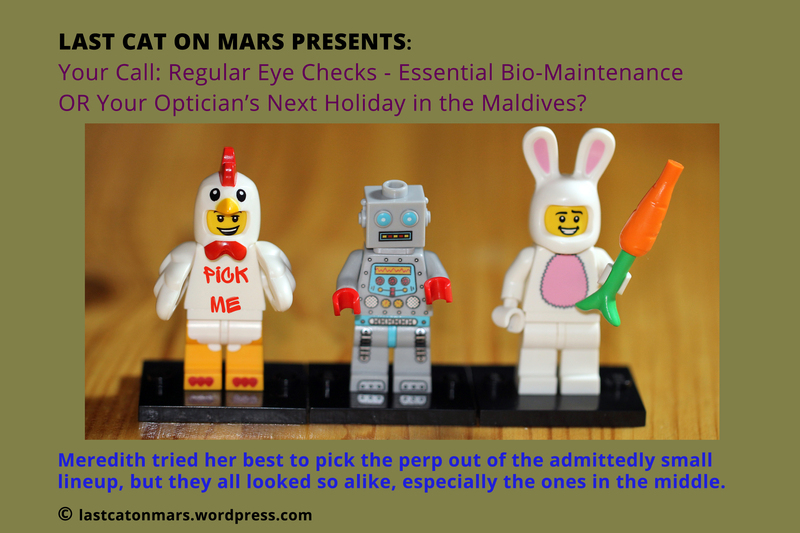 This entry was posted in Variety Show and tagged Chicken Man, eye checks, lego, minifigures, Perp lineup, Rabbit Man, Robot on October 13, 2014 by Jay Verney. 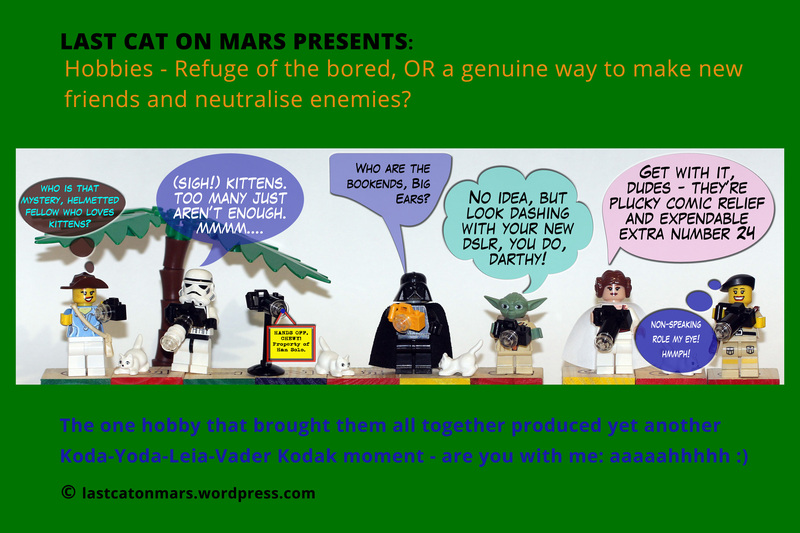 This entry was posted in Variety Show and tagged Darth Vader, hobbies, kittens, lego, minifigures, photographer, photography, Princess Leia, Star Wars, Storm Trooper, Yoda on October 5, 2014 by Jay Verney.